Or geomagnetic storm, a severe disruption of the Earth's magnetosphere that can cripple satellites, and even cause severe damage to electrical systems on the ground. Or geomagnetic storm, a severe disruption of the Earth's magnetosphere that can cripple satellites, and even cause severe damage to electrical systems on the ground. This happens when a violent outpouring of plasma from the Sun reaches the Earth. A significant mass ejection in 1989 caused a nine hour blackout in Canada. 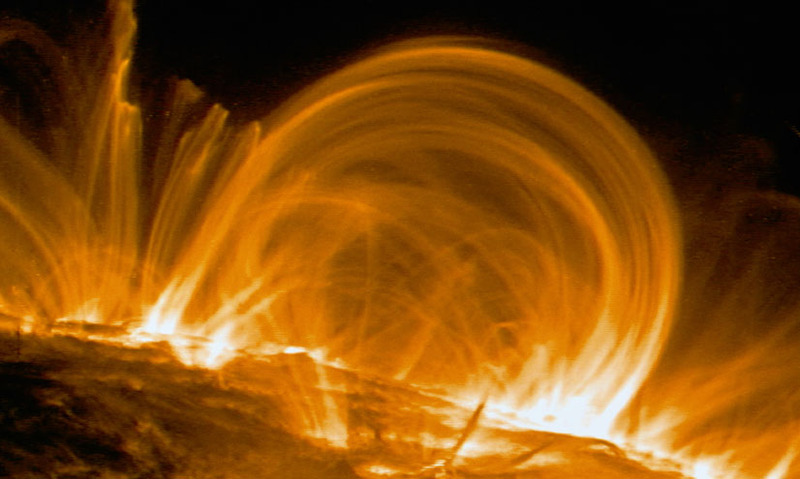 This happens when a violent outpouring of plasma from the Sun reaches the Earth. A significant mass ejection in 1989 caused a nine hour blackout in Canada.